Transient students and singles come and go, but a strong core of long-time residents still anchors “Kits,” one of the city’s most desirable older neighbourhoods. Just over the Burrard Street Bridge from the downtown peninsula, and overlooking the classic Vancouver skyline of sea, Stanley Park and the North Shore mountains, this area was once the hippie capital of the region and is now a comfortable, liberal paradise of well-heeled vegetarians and yoga-moms. 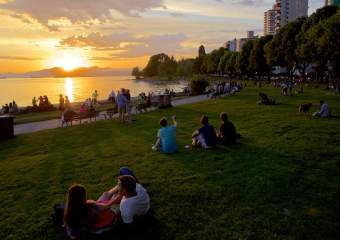 Home to Kitsilano Beach, Vanier Park, Vancouver’s largest outdoor pool and a Fourth Avenue thoroughfare of shops and popular eateries, Kits is one of the city’s liveliest summertime neighbourhoods. On a hot summer day, nowhere is more hoppin’ than Kitsilano Beach. Bikini-clad beachgoers take advantage of the sandy beach, grassy fields and the seven permanent beach volleyball courts – available on a first come, first serve basis. Find some friends to spike and volley away the afternoon before enjoying happy hour at one of the nearby ocean-side eateries. Volleyball fanatics won’t want to miss the annual Vancouver Open Pro Beach Volleyball Tournament at Kits Beach, July 15-17, 2016, which draws over 20,000 spectators and features the best pro beach volleyball players from North America and beyond. 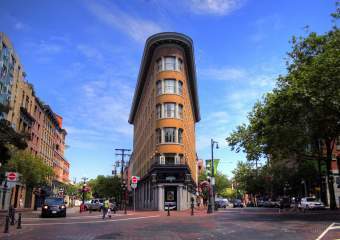 Hit the shops on West Fourth Avenue, lined with popular Vancouver retailers like the city’s prized yoga and fitness wear emporium, Lululemon. Founded in Vancouver in 2000, Kitsilano is home to their very first Lululemon store ever (2133 West Fourth Ave) and is a mecca for yogis far and wide. Down the street, you’ll find fancy ski and outdoor wear at Vancouver-born Arc’Teryx (2033 West Fourth Ave), know for its quality products. For shoe-enthusiasts, Gravity Pope is a must-visit, carrying over 200 brands of funky and stylish shoes (203 West Fourth Ave). In the 1960s, beachside Kitsilano was Vancouver&apos;s hippie hangout, drawing comparisons to San Francisco&apos;s Haight-Ashbury. Today, a modern version of that relaxed atmosphere remains. Embrace your inner hippie at Vancouver’s original vegetarian restaurant The Naam (2724 West Fourth Ave.); grab a coffee and home-made dessert at Arbutus Coffee (2200 Arbutus St.) occupying a heritage building built in 1907; and spin some retro tunes at Zulu Records (1976 West Fourth Ave.), one of the most famous independent record stores in Canada. Fun fact: influential environmental organization Greenpeace was founded in Kits. 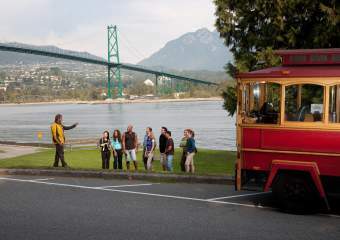 The Museum of Vancouver (MOV) creates Vancouver-focused exhibitions and programs that encourage dynamic conversations about what was, is, and can be Vancouver. Located in Vanier Park, the MOV’s permanent exhibitions tell the city’s stories, from the Musqueam First Nation&apos;s ancient landscape through to the hippie movement of the 60s and 70s. Temporary exhibits bring unique collections and perspectives to the museum, like the current exhibition, All Together Now: Vancouver Collectors and Their Worlds, featuring rare and unconventional collections. Cannonball! Beat the heat at Kitsilano Pool, the city’s largest outdoor heated swimming pool. 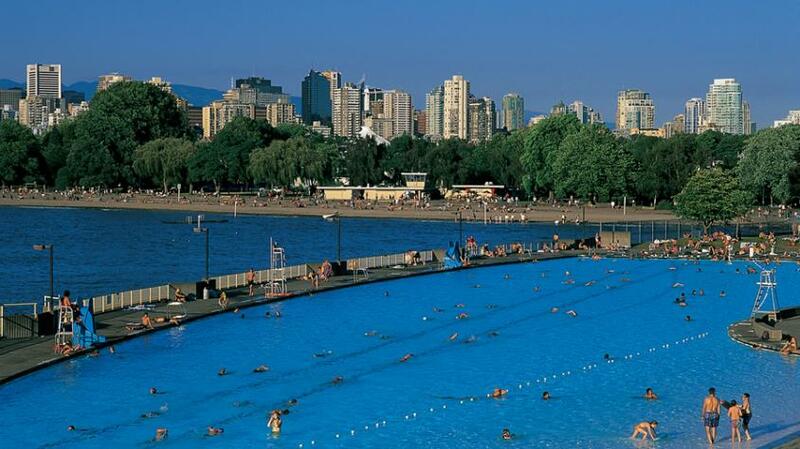 The public saltwater pool is 137m in length, boasts three slides, and is located right beside Kits Beach. Whether you’re there to perfect your backstroke or splash around in the shallows, Kits Pool is the place to be on a sunny summer day in Vancouver (open May to mid-September). Live it up at the biggest block party in town. 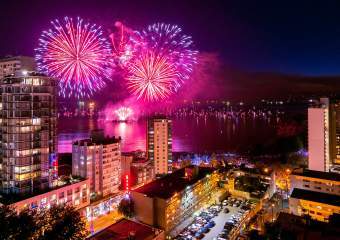 The annual West Fourth Avenue Khatsahlano Street Party is Vancouver’s largest free Music and Arts Festival. See over 50 of Vancouver’s top musical artists perform on multiple stages, as well as eclectic works and exhibits from local artisans and street performers. The street fair spans 10 blocks from Burrard to MacDonald Street and features a variety of food vendors, special activities, giveaways and licensed beer gardens. This year’s celebrations fall on Saturday, July 9, 11am-9pm. Journey to infinity and beyond at H.R. MacMillan Space Centre, a non-profit community resource that brings the wonders of space to Earth. The Space Centre offers interactive learning experiences for both kids and adults, including live demonstrations of rocket science in the GroundStation Canada Theatre, space exhibits and games in the Cosmic Courtyard, and astronomy shows under the domed Planetarium Star Theatre. Long known for its excellent vegetarian restaurants and quirky cafes, Kitsilano now boasts a string of hot new restaurants, especially along West Fourth Avenue. Chef Angus An delivers modern Thai cuisine at Maenam (1938 West Fourth Ave); Top Chef Canada finalist Trevor Bird sources seasonal, quality ingredients at Fable (1944 West Fourth Ave); and No. 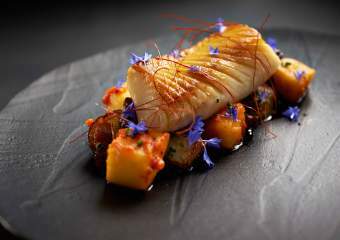 6 on the list of enRoute’s Best New Restaurants in Canada, AnnaLena (1809 West First Ave) serves up contemporary Canadian fare. Prepare to be entertained at Bard on the Beach, back for its 27th season in 2016 (June 3 - September 24). Western Canada’s largest Shakespeare Festival stakes its tents in scenic Vanier Park against the spectacular waterfront backdrop of False Creek. As the sun sets over English Bay, settle in your seats and get ready for a hearty dose of Shakespeare-with-a-twist. This year’s productions include The Merry Wives of Windsor, Romeo & Juliet, Pericles, and Othello. Vancouver boasts over 1,500 yoga classes a week and Kitsilano is at the epicentre. Take a class at one of the many yoga studios in Kits: YYoga, Semperviva or Yoga West; or up the ante with a SUP yoga class from Kits Beach with Vancouver Water Adventures, a combination of stand up paddleboarding and yoga. Refuel with a nutrient-rich fresh pressed juice from Glory Juice Co. (2186 West Fourth Ave). Namaste!